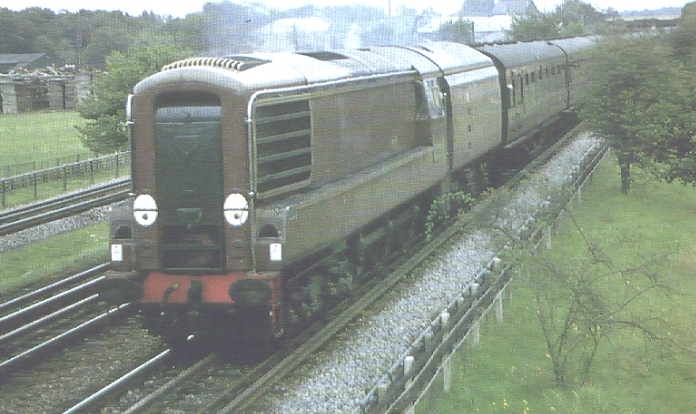 to the fact that it was built onto an ex LMS class 5 steam loco chassis. The tender carried diesel fuel. it is here seen on the GC/Met line with the 12.38 Marylebone / Nottingham train.